​I'm putting this tip first, because it's super important and so many people forget to do it. 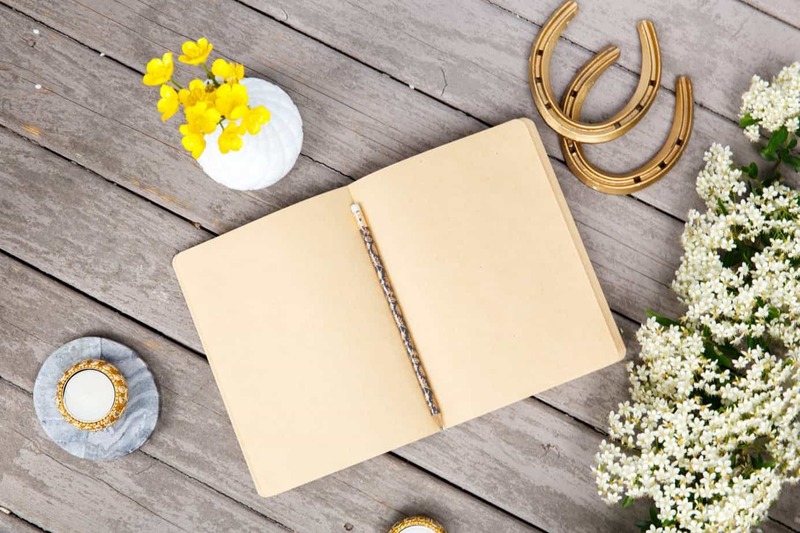 If you want your blog to be a success, whatever that means you, you need to lay out the intention for what that will look like. 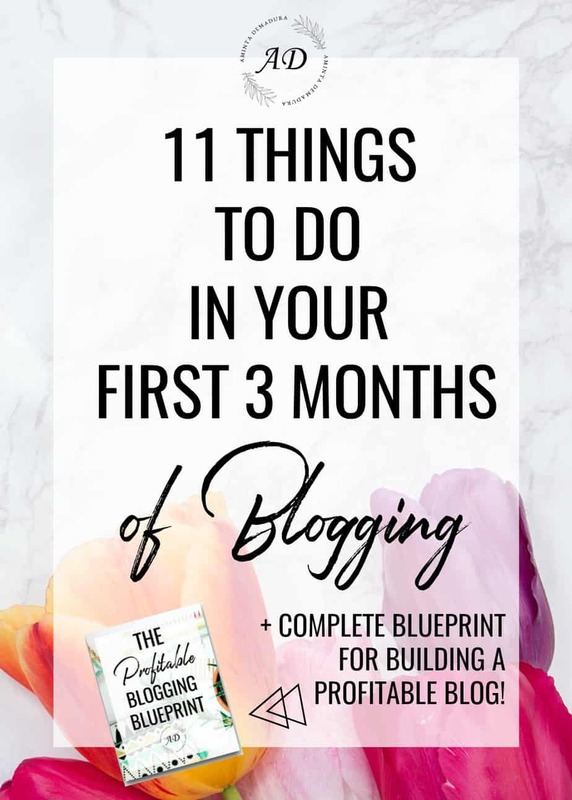 Why are you starting a blog? Is it just for fun or for work? Are you hoping to create a business from it, or maybe support an existing business that you have? Getting clear on your reasons for blocking will go a long way who helping you succeed in the long run. 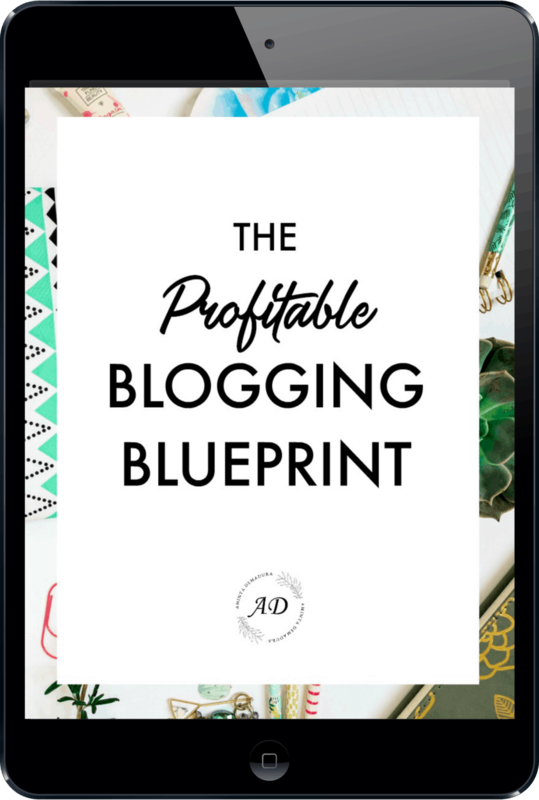 If you are blogging with the intention of turning your blog into a profitable business, the next step is to figure out exactly how you will monetize. Where will the money come from? What will you sell? Will it be a product or a service, or both? Keep in mind, a blog itself is not a business. It may be the vessel for your business, or your businesses best sidekick, but it is not a business in and of itself. Your blog will bring traffic, but your business is what will bring money. If you want to earn a living online, you will need to be prepared to tackle both. Oh man, if there was one thing I could tell myself back when I was first getting started, it would be to figure out my brand now! By the time I discovered my brand, I was already a year into my blog and had tons of pages and posts that had to be redone. All in all, it took me around 500 hours of long, tedious work to really infuse my brand into all of my work. Talk about a headache! That's why I'm encouraging you to discover your brand right now. Well, here's the fun part. Go on to Pinterest and create yourself a secret branding board that only you can see. 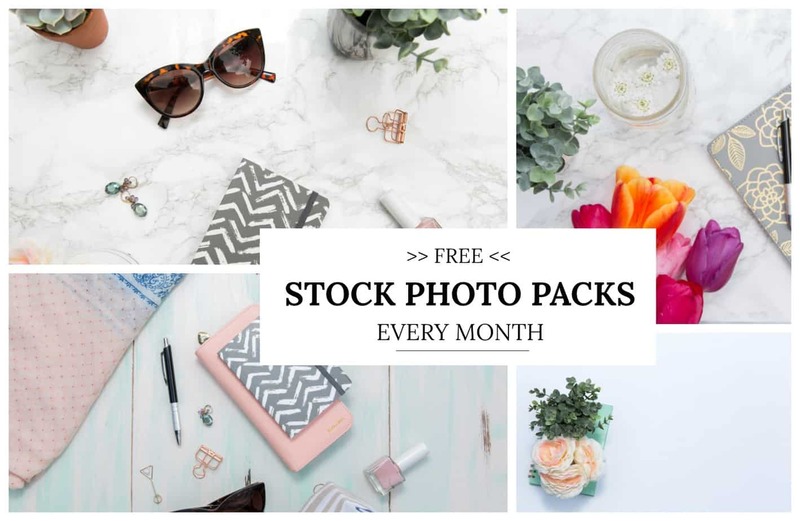 Then search around on Pinterest for color palettes, branding elements, and textures and patterns that really feel like you. Spend a few hours pinning everything you love to your secret board. Then once you're finished, go back and look for the overarching theme. Delete any pins that no longer fit with that theme. Once you are done, you should have a moodboard of inspiration for your brand. Of course, there is so much more to branding than just your styles and colors. Check out my guide on creating a style guide that takes your brand to the next level for a complete how-to. ​Want to know one of the biggest things that will set you apart from your competitors? Your photos and visuals. Humans are extremely visual creatures. We make subconscious decisions based on the beauty and appeal of something long before we make a purely logical decision about it. Have you ever noticed how when you buy fruit, you always look for the most perfectly shaped ones? The most perfectly sized ones? Rationally, we know that an apple that is slightly more oblong is going to taste just as good as a perfectly round one. We know it's just as nutritious. But it's in our nature to subconsciously believe that the most beautiful one is the best, and so we go for the perfect apple over the imperfect one. The same is true for your blog and online business. You can have incredible knowledge and amazing content, but if your visuals are boring or distracting, no one is going to stick around long enough to find out how great you are. It's harsh, but it's true. Nowadays everyone and their dog has a blog, and the competition is fiercer than ever. To stand out, your photos will not only need to be beautiful but also unique and on brand. One of the best ways I've found to get everything done in a reasonable amount of time each day is to use a content strategy. If you’re wondering what the heck a content strategy is, allow me to enlighten you! A content strategy is a system for repurposing and reusing your best content in a way that drives traffic from all of your various platforms. You can check out my complete guide to using a content strategy here. ​Guys, this thing is a godsend. I use the free WordPress plugin Editorial Calendar and it helps me so, so much. You can schedule out posts well in advance and the plugin will post them automatically at the set date and time you decide. This is absolutely crucial to maintaining a consistent blogging schedule. I plan all of my content out at least a month in advance. The editorial calendar not only helps me see which posts are going out when, but it also gives me a better idea of any gaps in content I might have. And of course, not having to be physically present at my computer each time a post needs to go out saves me a ton of time and sanity. ​Like I said earlier, I plan my content at least a month in advance. Towards the end of each month, I get out of big piece of paper and start planning what I will write about the following month. Since I post twice-weekly, that means I need to plan out eight pieces of blog content plus all of the accompanying social media and newsletter content to go with it. Want to know my secret for creating blog posts that excite my readers? One of my tactics to finding great topics is to snag ideas from Pinterest. First, I type in a keyword related to my niche in the Pinterest search bar. Then I look through the top pins that come up for ideas. Except for pins that have been promoted, the pins you see towards the top when you search for something in Pinterest are typically the ones that have received the most repins. This is important because the most popular pins get “repinned” often, and thus moved to the top of search results. This gives you a great advantage in finding topics that people really want to learn more about. ​If there's one thing I hear over and over from bloggers, it's that they wish they'd started building their email list sooner. Building an email list takes time, so you want to start as soon as possible. A solid email list of people who love your work and want to hear from you is the foundation of the business side of your blog. And don't worry, setting up a newsletter isn't hard! There are tons of automated email service providers out there there are tons of automated email service providers out there, ranging from free to about 30 bucks a month. Mailerlite is a great way to start out for free in the beginning, but you'll probably need to transition to a paid service down the road when you actually have a product to sell. I have used both Aweber and Convertkit, and have had a good experience with both. Convertkit seems to be more versatile with cool features like A/B split testing and the ability to resend emails to your unopened list. Convertkit was made by a blogger and for bloggers. That being said, it's a little pricey at $29 per month for the basic package and honestly, their forms are super ugly. You also can’t customize much more than the form and button color, which I think is a major drawback for the price you pay. I'm using Convertkit right now, but I create my forms through Thrive Architect instead. Aweber has much more attractive forms and email newsletter templates, but they have fewer features for advanced email marketing than Convertkit does. ​You may be thinking that Pinterest falls in the social media category, but actually, it doesn't! Pinterest acts as more of a search engine that uses a visual platform to bring up results. Basically, everyone should be on Pinterest. It is my number one source of traffic to my blog, and I know that's true for many others. Tailwind is the Pinterest scheduler I use to save time on pinning and help increase my site's traffic. Check out my top strategies for winning on Pinterest here. Trust me, you do not need to be on every social media platform to win with blogging. In fact, for most bloggers one or two platforms is perfectly sufficient. The worst thing you can do is sign up for a ton of social media accounts and then do very little with each of them, leaving them each a ghost town. The best method? Start with just one social media account and really get good at it. Spend some time filling it out, posting, and building a community. Once you've got it down pat, then set up your next social account. That being said, I would also recommend at least signing up for all of the major social media accounts if only to reserve your name so that no one else takes it in the meantime. ​Trust me when I say that you want to do this from the get-go. Having detailed data from Google Analytics will make an enormous difference in your business down the road. Take the time to set it up now, it's super easy! Once you do that, Analytics will begin tracking hundreds of different data points about your site which will help you determine your most popular blog posts, how much time people spend on your site, where your traffic is coming from, which pins are bringing in the most traffic, and so much more. Google Analytics is free and one of the best resources that business owners can use. Question: Which of these tips has been the hardest to implement for your blog and why? Which one has helped your business the most? Let me know in the comments below!